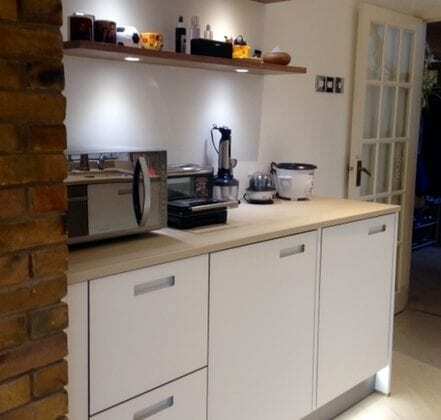 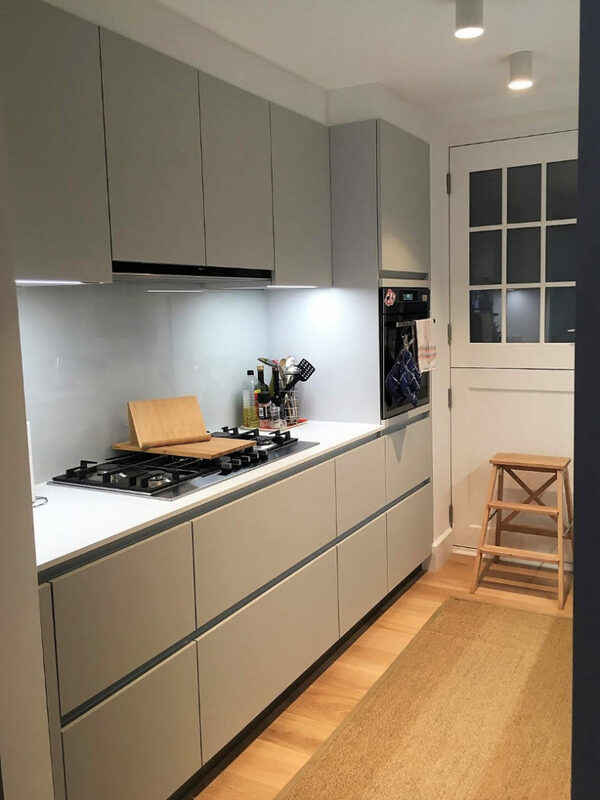 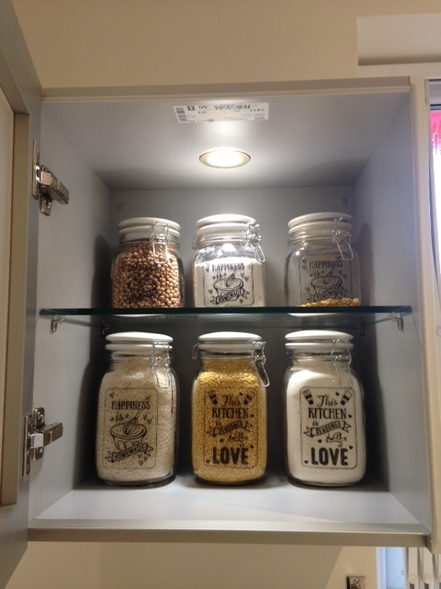 From our Next125 range, White glass fronted doors in matt finish with ‘letter box’ style inset handles and misted glass wall units illuminated with LED lighting. 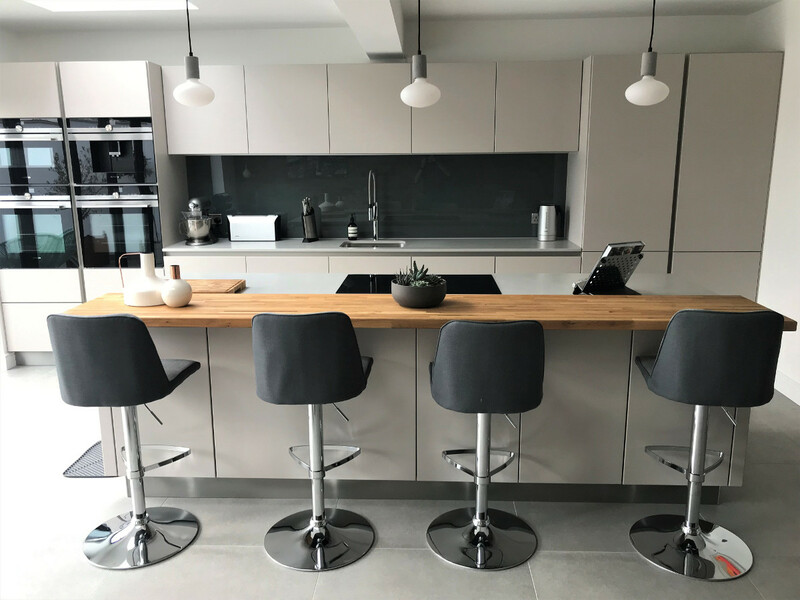 The worktop is made from ceramic and the colour is Neolith basalt beige, thickness of worktop is 25 mm. 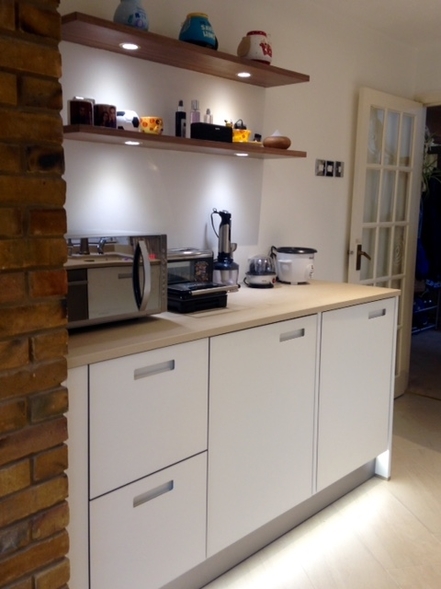 Contrast colour floating shelves in Natural walnut. 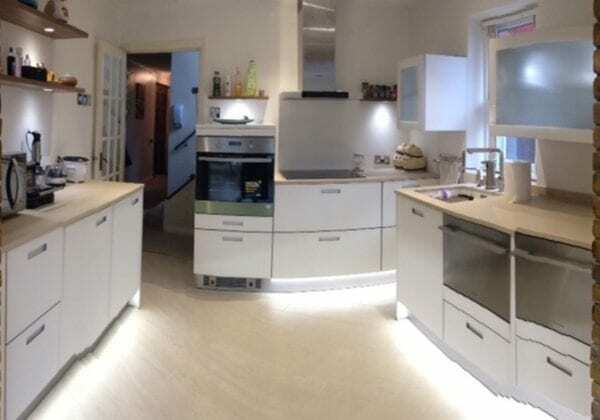 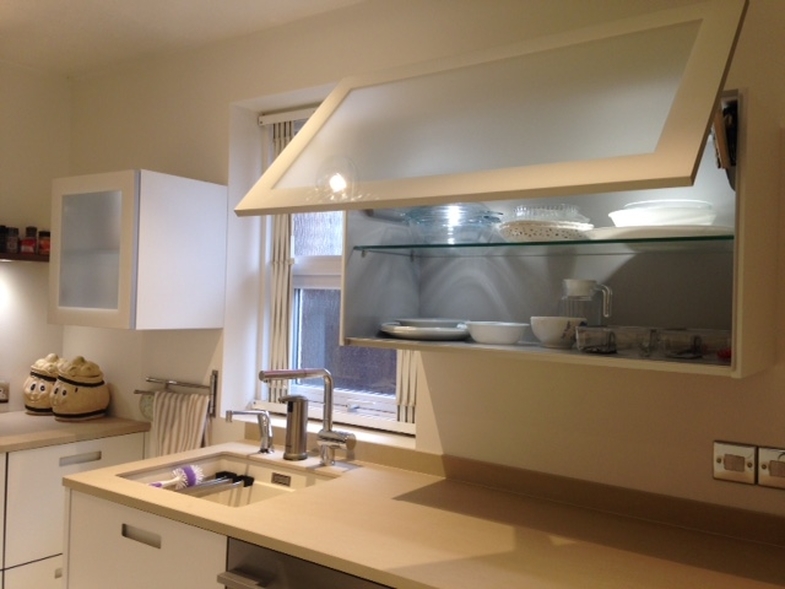 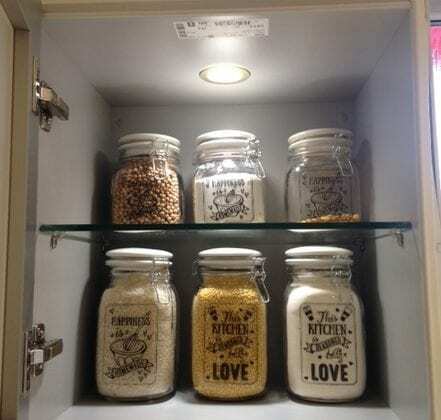 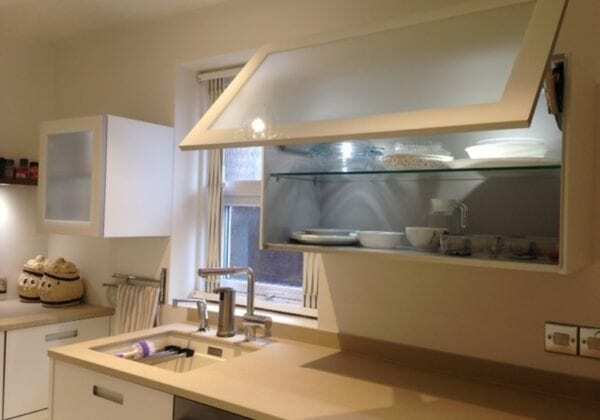 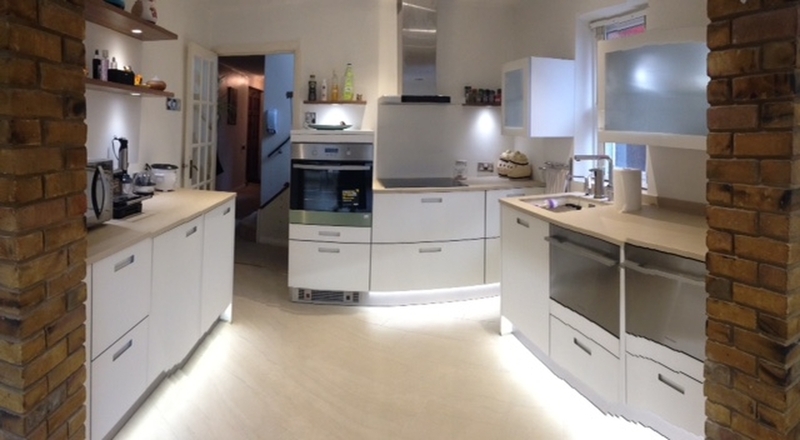 Archana Mahtani was impressed with the White glass fronted kitchen and the service received from the KDCUK team.